We had quite an interesting week. After gray and gloom Monday and Tuesday, a noreaster blew in on Wednesday with winds about 50 miles per hour. We get less than an inch of rain but lost three trees in our backyard. We're still waiting for a tree service to come and haul them away. We made the national news because there were very large waves on Lake Superior which flooded a good part of Canal Park (a tourist area right by the ship canal and the Aerial Lift Bridge) and caused even more damage to our already-battered Lakewalk which is a paved path that runs a couple of miles along the lake starting at Canal Park. The Lakewalk was still waiting repairs from two earlier storms including one last October since the damage was in the millions of dollars. Then, on Thursday morning, we awoke to snow on the grassy areas. Luckily, it all melted away by noon when the sun came out for the first time in quite a while. Friday I ventured out and got my flu shot. My brother had gotten his at work on Thursday. I'm still watching baseball, but with less interest since my Atlanta Braves have been eliminated. I've also been enjoying The Voice but not watching much television otherwise. A Wrench in the Works by Kate Carlisle - Review; cozy mystery. My review will be posted on Oct. 31. Midsummer Mayhem by Marty Wingate - Review; cozy mystery. My review will be posted on Nov. 1. Umbertouched by Livia Blackburne - Review; YA epic fantasy. My review will be posted on Nov. 2. A Dangerous Duet by Karen Odden - Review; historical mystery. My review will be posted on Nov. 3. SEAL's Honor by Megan Crane - Review; romantic suspense. My review will be posted on Nov. 6. A Scandal in Scarlet by Vicki Delany - Review; cozy mystery. My review will be posted on Nov. 7. The Lying Woods by Ashley Elston - Review; YA mystery. My review will be posted on Nov. 7. Wow that is some crazy wild weather!! We have had some severe temp changes (90 to 50) but snow! Eek. I know you are not ready yet either. Stay warm!! So sorry for the devastation in your home and surroundings! Enjoy curling up with all these lovely books. I enjoyed The Child...and I'm eager to get the author's next book (The Suspect), in January, or sooner. I requested it from NetGalley. What a cray weather week! Hope you're able to get a tree service in soon to haul away those trees... bet they're all crazy busy right now. We're going to get our flu shots this week, too. Lots of interesting books on your stack this week - enjoy! Ugh on the storm! Mother Nature can wreak some havoc, can't she? Oh my, the weather in your area has been wreaking havoc! I hope you get a break. I like the look of A Dangerous Duet. I like historical mysteries. Enjoy your reading week! I have the Gilded Wolves on my TBR list. Enjoy all your books! Thanks for visiting! I see we have different tastes in books but I have to say I’m drawn to the Courtney Summers book and of course Fiona Barton is always a good call! See you around! I'm scared of the flu shot. I don't want to get sick as I hardly ever do *knocks on wood. I take a lot of vitamin C which is said to cure cancer so. It seems to help with everything so far. I've even heard people die from the flu shot Ugh! That's frightening. I hope you are doing okay and the weather isn't getting you down. Thanks for visiting, I'm at Jackie's Forget Me Nots this week. I'm sorry to hear about the destruction you suffered. I hope it is cleared away soon. We've been having rain practically every day or it's very gloomy out. I'm a Yankee fan, so my interest has dwindled since they were eliminated too, but I still keep up with the scores. Have a great week! Snow already?! I'm going crazy just dealing with the constant rain here in central TX -- snow would do me in. Great list of books here -- most of them new to me. 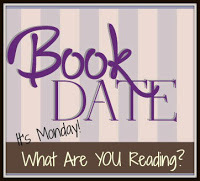 Hope you enjoy your reading this week! Oh my, you really have had the weather. I hope things settle down for you soon. Most of your books are new to be but the cover of The Lying Woods grabbed my attention. I'll have to check it out. Have a great week.